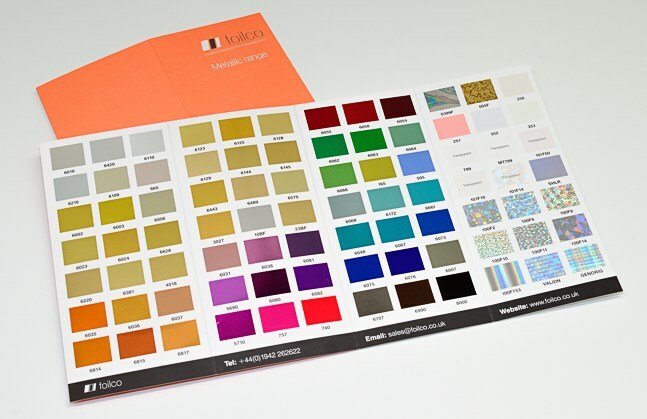 We have one of the largest ranges of foils available with hundreds of colours and shades available from stock. Adding a metallic hot stamping foil to your 4 colour print provides a quality finish that adds value and has proven to increase sales. Whatever finish you are looking for, we are sure we will be able to meet your requirements.